Expand your Magento® eCommerce store into a bustling eCommerce B2B or B2C Magento Marketplace like Amazon, Flipkart, ASOS, eBay or Esty . 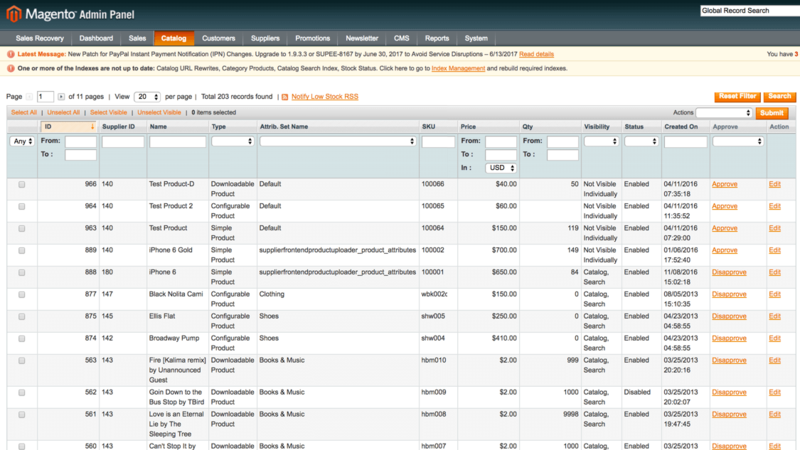 Allow multiple vendors to sell products and manage orders on your Magento® store. 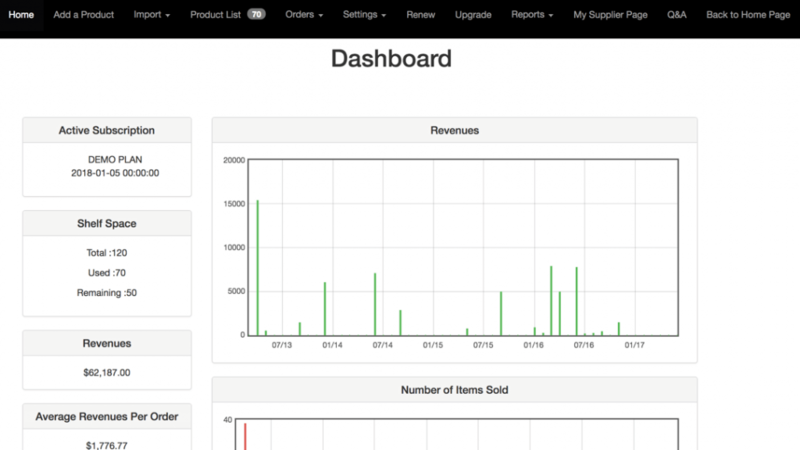 Vendors have a separate seller portal and a unique vendor dashboard showing all their products. Powerful features including membership options, vendor shipping management, vendors scheduled payments, separate vendor registration page and more. + $69 for one live + 2 test Magento® hosts. 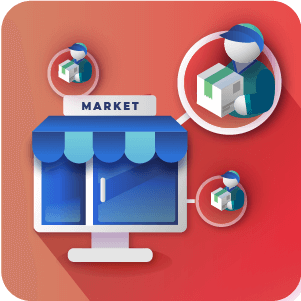 The Magento® Marketplace Multi Vendor Extension transforms your B2B or B2C eCommerce store into a thriving multi vendor online marketplace similar to Amazon, eBay, and Etsy. 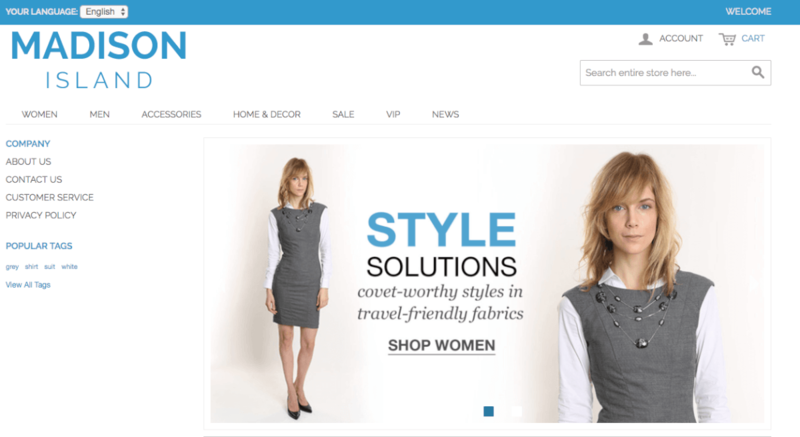 Scalable with immense management and customization options, this is the best Magento tool available to grow your online retail business and surpass the competition. The extension allows vendors and suppliers to create and update vendor product collection and track and manage orders through a supplier account within your Magento e-Commerce store. This gives both the site admin and suppliers an easy way to manage vendor products, shipping options, and fulfill orders, track sales, and split commissions. The CM Magento Marketplace extension includes all the functionality available in the CM Supplier Frontend Product Uploader, allowing sellers to upload and manage their own inventory lists for all product types. 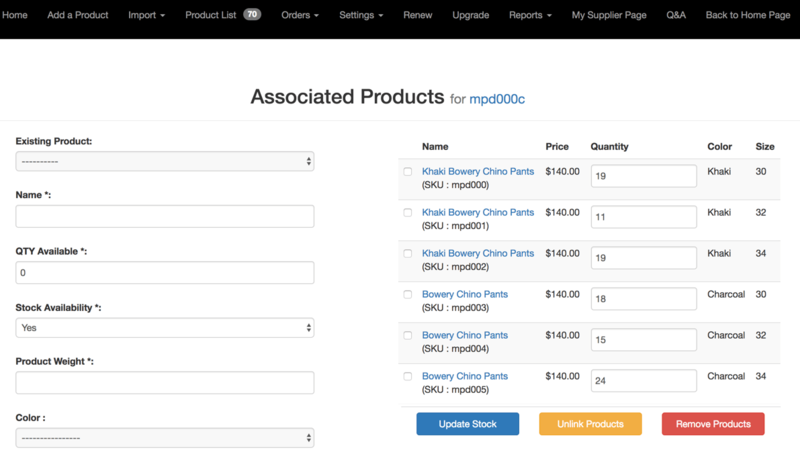 Allow multiple vendors to easily manage and sell products on your site. They are granted access to an intuitive vendor dashboard , separate from the admin dashboard. Merchant Profile – Each vendor is given a customizable public profile through the supplier portal, and can be manually approved by the admin. 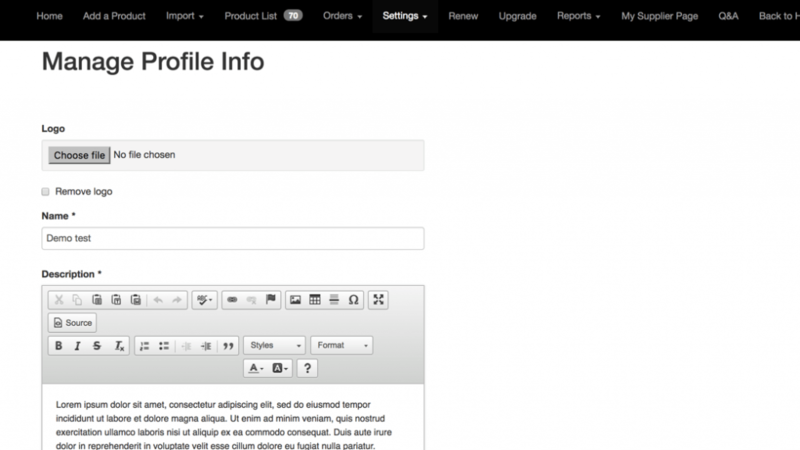 Vendor profiles are displayed on all product pages. 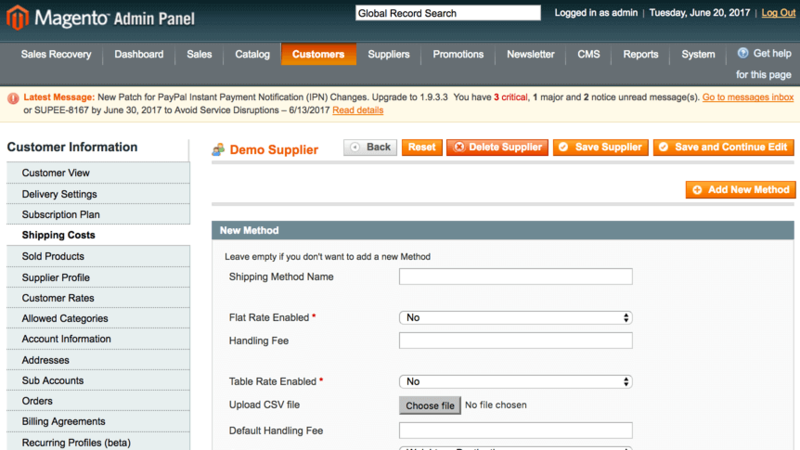 Bulk Product Upload – Quickly bulk upload store products info and manage inventory using CSV files. Vendors manage orders from their product collections, giving them more control over pricing and shipping. Dropshipping – Ability for sellers to manage shipping methods and cost, giving customers the option to choose a shipping method from pre-defined options. Reviews and Ratings – Customers can view feedback about the vendor, including product reviews and seller ratings. PayPal Integration– Admin can easily pay vendors with the PayPal add-on. Payment can be set to process automatically or manually. Multishipping– Each vendor can add multiple shipping methods. Customers can then select their preferred shipping option upon checkout. Mobile Responsive– All Magento Marketplace frontend and backend modules are mobile responsive, including the seller dashboard . Same Product, Multiple Suppliers– Enable multiple vendors / sellers to sell the same product, similar to Amazon. The product shown on the B2B or B2C store frontend can display based on the admin settings (with option to rank by: supplier rating, best price, admin manual selection, and stock availability). Simple Inventory Management – Create your eCommerce niche-based B2C Marketplace without worrying about inventory management. Flexible Vendor Commission – Set a default vendor sales commission fee, or offer custom fees for each individual seller. Powerful Moderation – Moderate vendor profiles, product information, shipping arrangements and supplier capabilities. 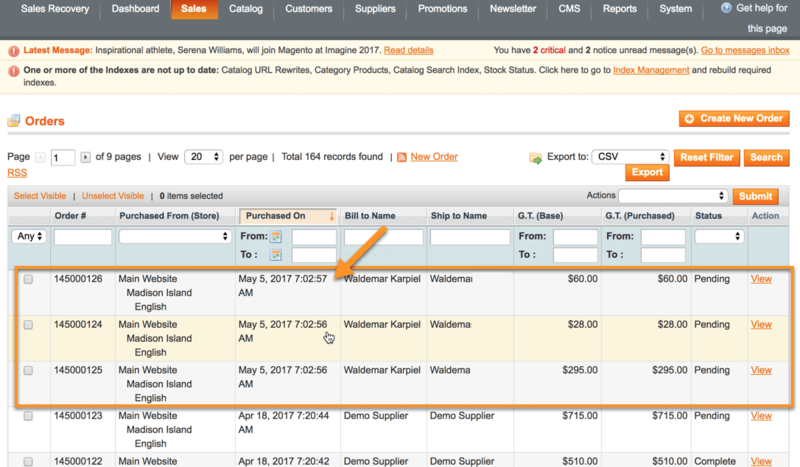 Advanced Reporting – Receive detailed sales reports and filter them by supplier, category, customer group, and more. Unified Cart System – Our eCommerce Marketplace software can process all payments within a single shopping cart system. Automated Vendor Payments – Choose whether to pay vendors manually or automatically. Quick Setup – Sell products online without having to maintain and promote your eCommerce website. Product Collection Management – Create, update, manage and track products of any type, including configurable products, digital products, and simple products. 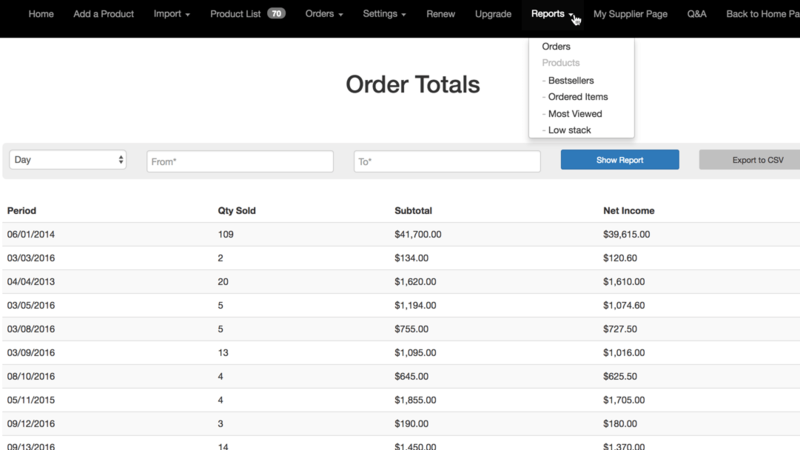 Manage your own inventory, orders, pricing and shipping arrangements independently. 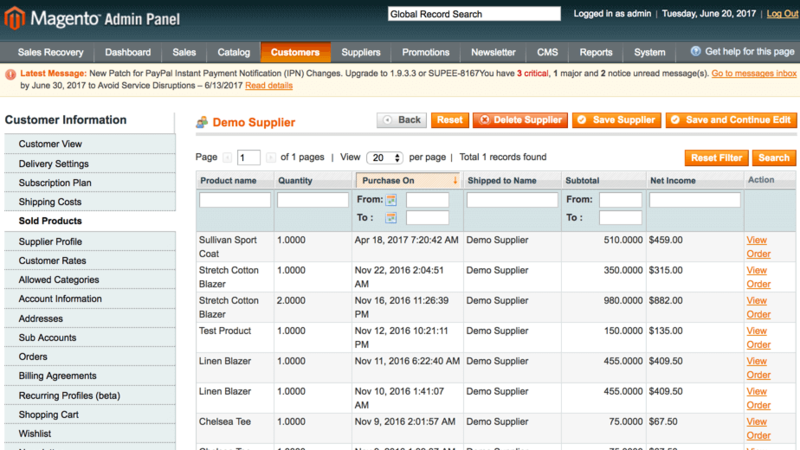 Advanced Sales Tracking – Track sales with detailed sales reports for your product collections. For more information about each module, please check the “Modules” tab. Let us know if you are missing any marketplace functionality. We can help you customize the extension to meet your specific needs and business requirements. Please check the user guide to learn more about the Multi Vendor Marketplace module. All Marketplace modules user guides can be found here. Multi Seller Marketplace– Allow multiple merchants to upload their products directly to your Magento® store. DropShipping– Allow your suppliers/vendors to create a chain of supply, enabling them to develop their own global business with advanced dropshipping options. Inventory Management– Give other employees limited access to manage vendor products from the front-end, without using the Admin interface. Admin Moderation– Admin can moderate product information, shipping arrangements and supplier capabilities. Advanced Billing– Allows admin to process all payments with a single shopping cart system. Separate Login– Admin can set a separate registration and login page for suppliers. Product List– Admin has a list of all sellers products added by the supplier. Change Product Supplier– Admin can change a product’s supplier/owner. Sales Reports– Admin can generate a supplier’s sales conversion or sales report. 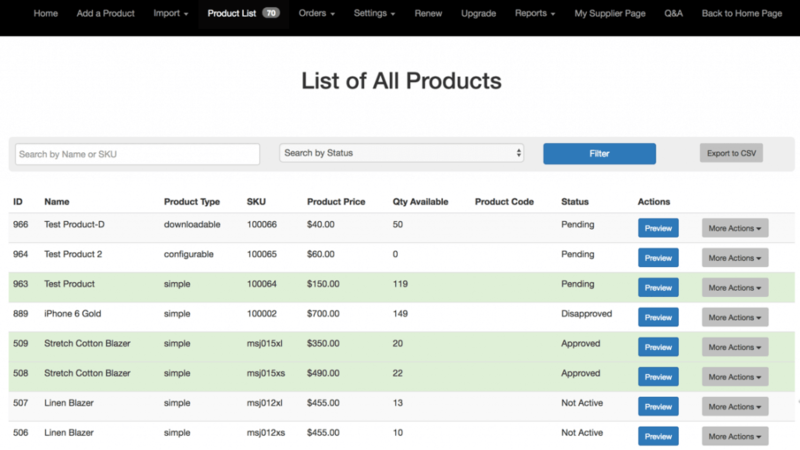 Filter Sales Reports– Filter sales reports by suppliers, product categories, customer groups and more. Billing Reports– Admin can have billing report for each order. Vendor Approval– Admin can manually approve vendor’s profile after registration, or have it approved automatically. Product Approval– Admin can decide if imported products are approved automatically or need approval from the admin panel. 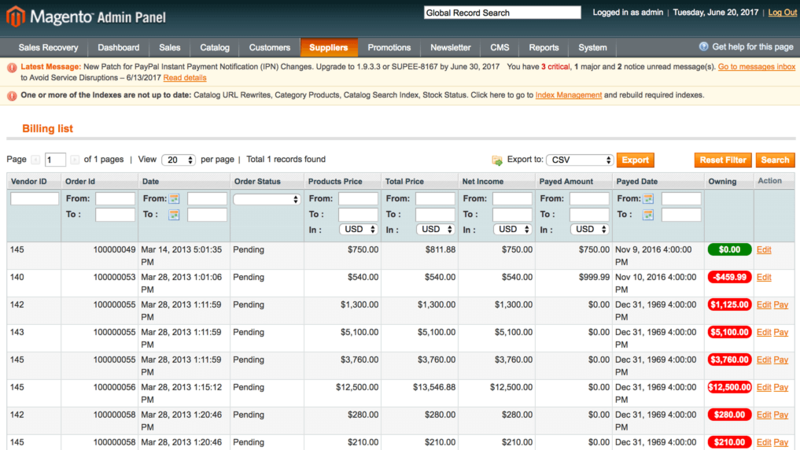 Vendor Payment Tracking– Track billing to organize your monthly vendor payments. 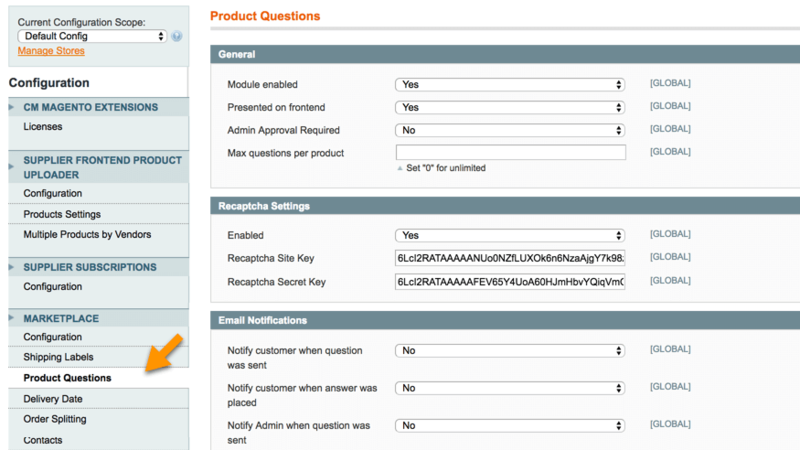 Customize Product Forms– Product forms can be easily changed in the admin panel. Metadata Labels– Admin can change the labels of the existing product metadata. Product Attributes– Admin can can set which Attribute Set can be used in vendor product creation. Product Categories– Admin can define what categories are available for all suppliers or set them for each supplier. 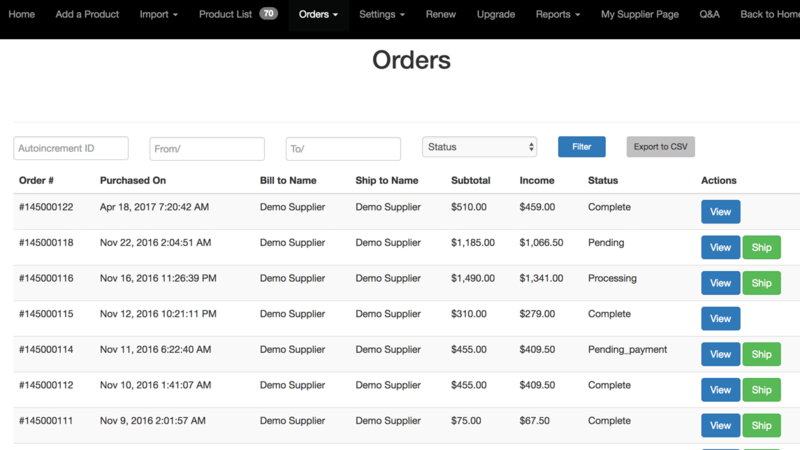 Supplier Order List– Admin can define what orders will be displayed on the supplier order list. Tax Group– Admin can define tax group for seller’s products. Admin Fees– Admin can either set a default fee charge for supplier revenues, or set individual fees for each supplier. Product SKU– Admin can define if suppliers can define products SKU or it will be auto-generated. 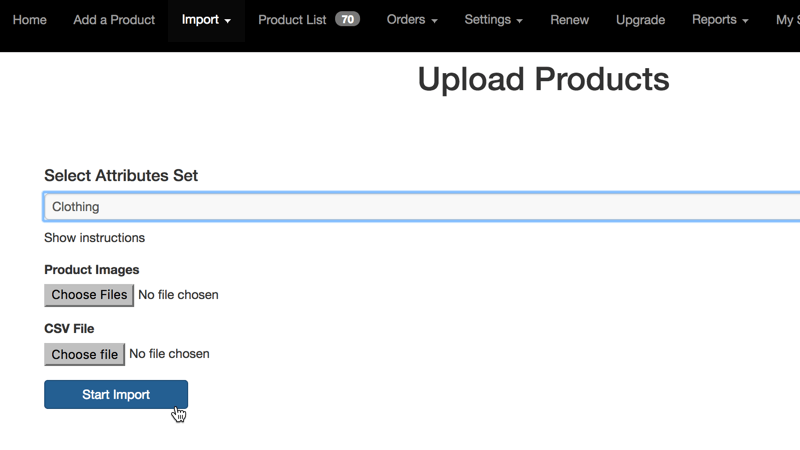 Uploading Images– Admin can define how many images can be uploaded per product by suppliers. Product Types– Admin can define what product type can be created by supplier. Downloadable Products– Admin can define the type of downloadable product files and the max size. 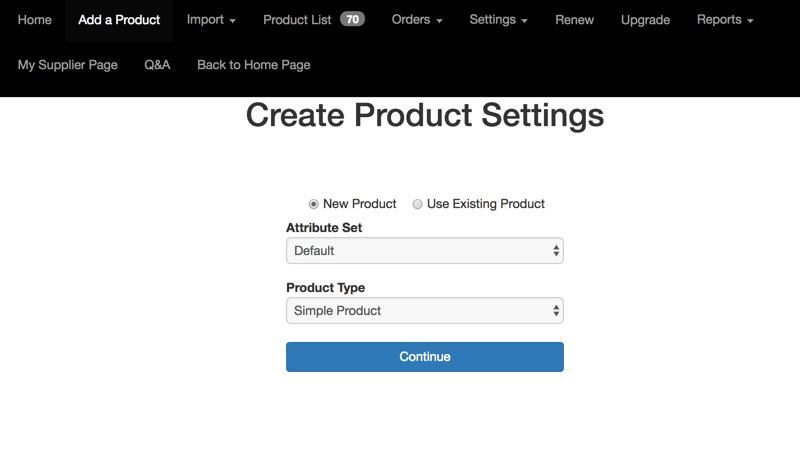 Product Page– Admin can define whether or not to show sellers products on their profile pages. 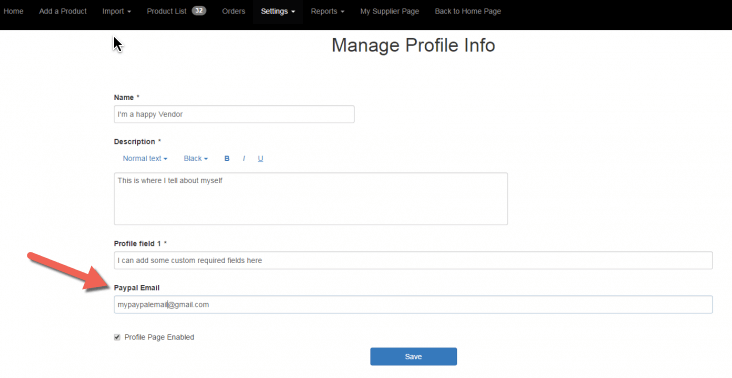 Supplier Profile– Admin can define custom fields for suppliers’ profiles – they can also set some of the fields as system so they won’t be shown on suppliers’ profile pages. Supplier’s Detailed Reports– View a report of each sellers’ most viewed products, bestsellers, and ordered products, export reports to a CSV file. Shipping Methods– Suppliers choose multiple shipping methods for their products – they can set a Flat Rate, Table Rate or Free Shipping. 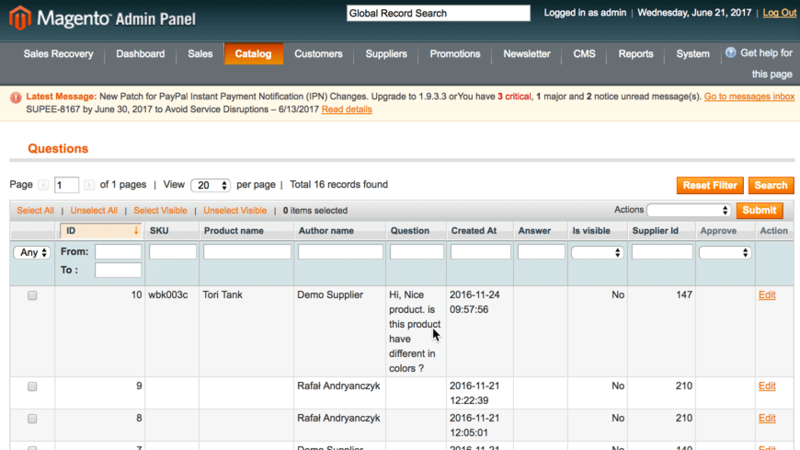 Custom Notifications– Sellers can define which notifications they will receive. Multishipping– Each vendor can add multiple shipping methods. Customers can select their own preferred shipping option. 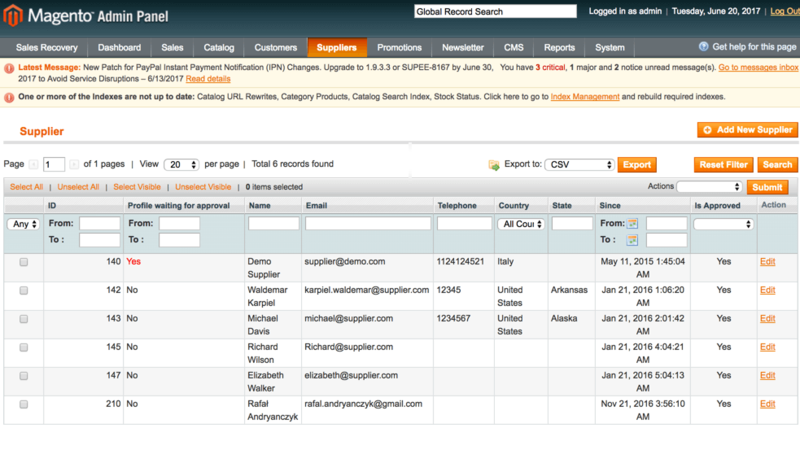 Transaction History– Suppliers and the admin can see their transaction history report. Let us know if you are missing any functionality. We can help you customize the extension to meet your specific needs and business requirements. These modules can be used to add even more handy eCommerce functionalities to the Marketplace Multi Vendor Extension. Each module is $69 on top of the price of the extension, and come with a year of updates and support. This module lets store managers quickly transfer money to marketplace vendors directly via PayPal. Vendors add their PayPal account email to their profile, then simply set transfers to automatic or manual mode. This marketplace multi vendor module lets the vendor set which time slots customers can use to pick up their store purchases. 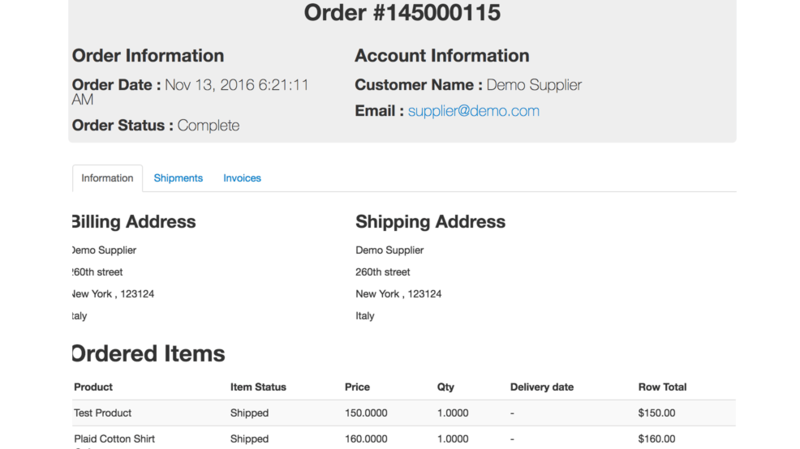 This module lets you create subscription plans for vendors, restricting how many products a vendor can create before payment. Each plan is created as a virtual product, which the vendor purchases to activate their subscription. 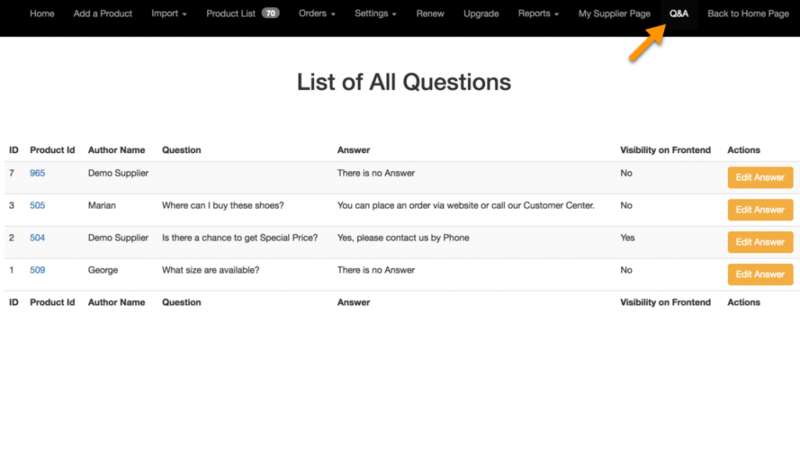 Let customers ask vendors questions about their products from the product page. Vendors can answer the customer privately or publicly (meaning the question and answer will be published on the product page after admin approval). All questions and answers are manageable through the Admin panel. Vendors can use the merchant’s FedEx account to calculate shipping from their origin. Vendors can then create shipping labels directly from their vendor dashboard (requires Fedex approval for label creation). This addon binds a custom domain to a seller’s profile page. This lets vendors have their own domain while still working within the larger marketplace. Example: Admin defines that vendor A has the domain vendorcustomdomain.com. When a customer enters this url they will see vendor A’s profile page. Allow admin and vendors to manage return requests for products. Customers can open a return request. If approved by the admin or vendor, the product return and refund is managed by the admin. With this addon, vendors can point to a CSV file which be used on a daily basis to update their inventory in their marketplace installation. Stop wasting time with manual updates and instead automate the whole process. This is an auction module lets vendors enable price suggestions from customers. Vendors can set an initial product price or also accept a price offer from customers. 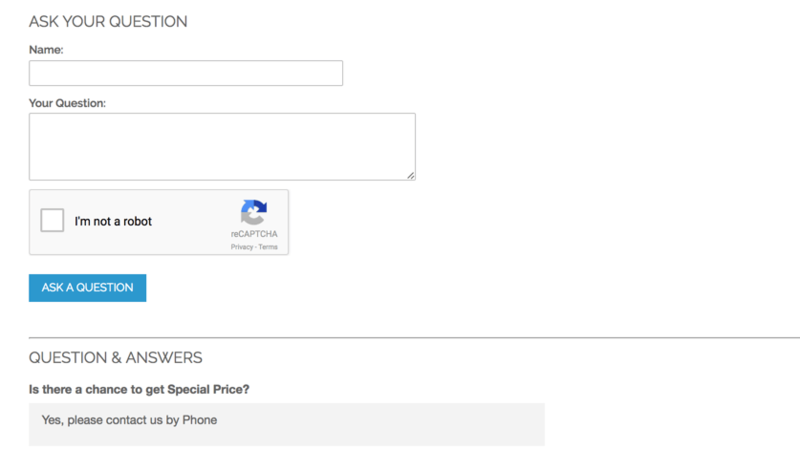 On the product page a small form appears where a customer can suggest what price they would like to pay. If the seller accepts the offer, the product is added to cart with the suggested price. Allow the vendor or admin to define a minimum order amount or quantity of products per day or order. 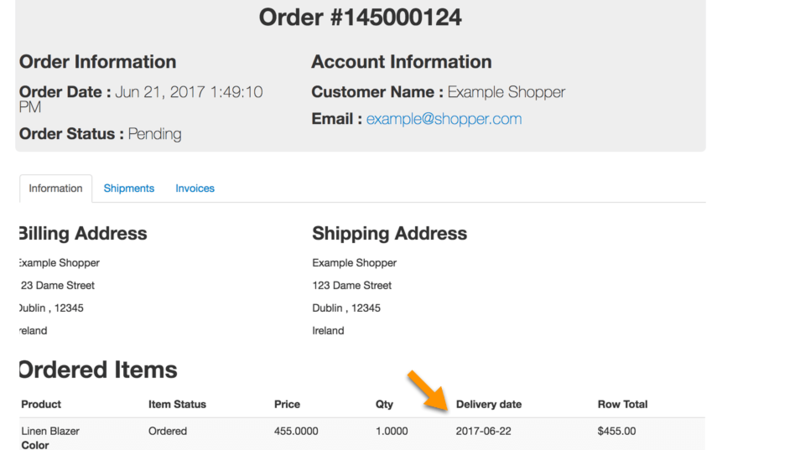 Customers are notified on the cart or checkout page if products from a specific vendor don’t meet the minimum quantity or amount defined by the vendor. They will not able to place an order until they reach the minimum amount or remove products belonging to the seller with the restriction. 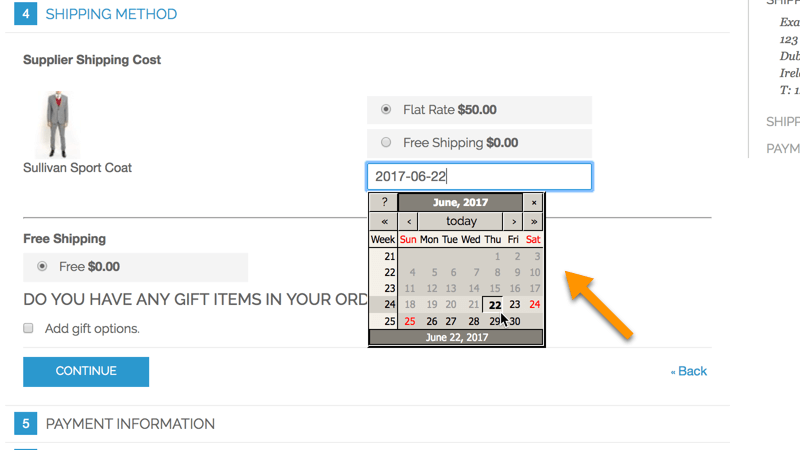 Set a delivery date during checkout for specific items in the cart. Customers can choose when the ordered item should be delivered to them, with the option to configure delivery dates for each product during checkout. 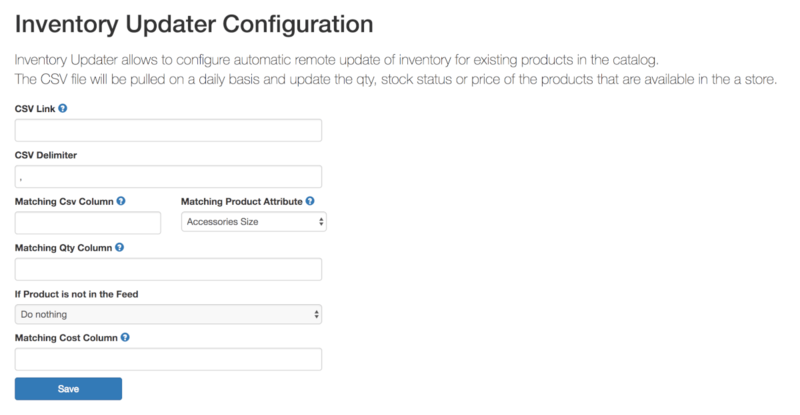 Vendors can choose which products from their product collection have this feature enabled. Split products in one order into multiple orders for each vendor. If a customer has several products in their cart that belongs to 3 different vendors, the addon will create 3 different orders- one order for each vendor with all the products belonging to that seller. Can the Marketplace administrator control which products to publish on their online e store? Changes in Core module according magento security patch SUPEE-10888. Fixed issue for interaction with Cminds_Oapm module. 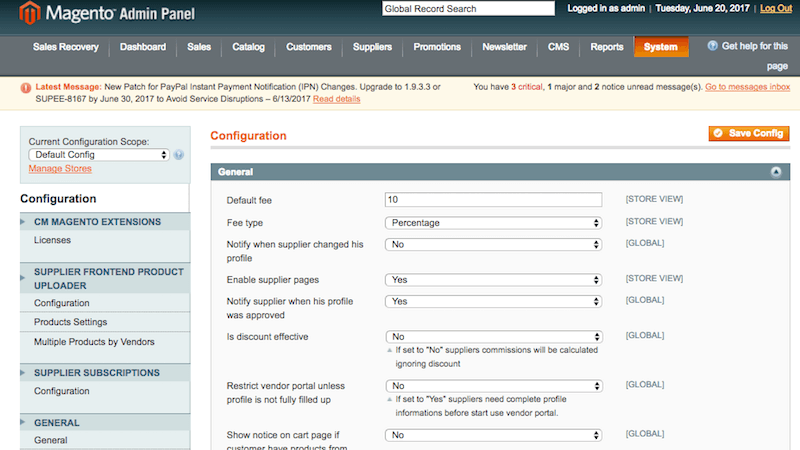 Changing settings in the supplier profile. Supplier’s logo is needed to be approving by admin. Supplier settings, including the supplier’s logo, could be send for approval separately. 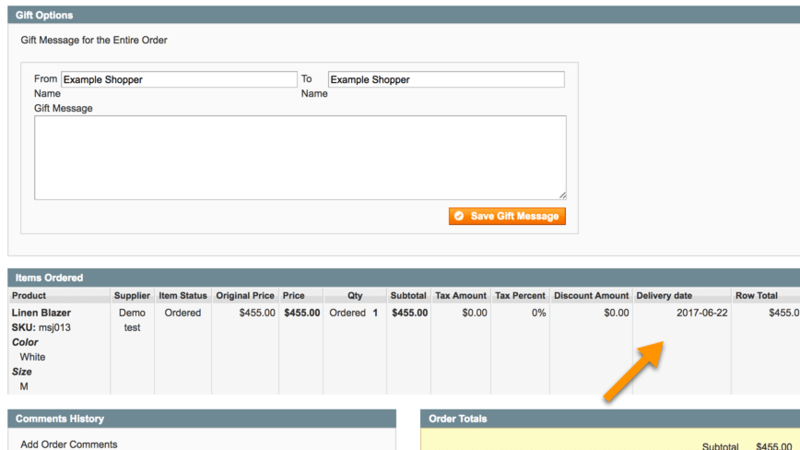 Fixed bug with displaying configurable products in shopping cart and checkout proceed. Fix the table rate shipping calculation for the supplier. Fixed js issue on vendor profile page.